Knife of Dreams is the 11th book in the Wheel of Time series. It is a reward of sorts, a bone thrown to those who mired through Winter’s Heart and Crossroads of Twilight. Though I still did a little skimming, I read almost all of the book cover to cover, and it is a vast improvement over the previous two installments. In Knife of Dreams, there is a sudden shift away from menial characters, and the focus of the story returns to the characters readers love most. Rand gets a small but important section, a huge battle with forces of the dark that foreshadow the final battle. Perrin’s “kidnapped wife” storyline is finally resolved in a curious way, with another big battle, and if not completely satisfying, at least readers can exhale and say, “I’m glad Perrin can move on.” Matt also has a big battle battle, and his relationship with Tuon comes to a head. Engewe takes punishment in the White Tower but starts to make converts. Elayne attempts to claim the Lion Throne. In each case the plot threads are compelling, except perhaps for Elayne, who continues to be one of the most uninteresting main characters ever written…her chapters are the ones that I skimmed. In other plot lines, as battles begin, and pieces start to move on the board, we are sure that Tarmon Gaidon (the showdown with the Dark Lord) is now coming soon. 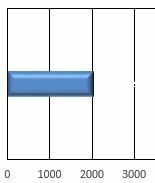 It is a radical departure from the two previous books and almost shocking when compared to where the series had been taken. Was Jordan feeling the heat from criticism? Or was it the fact that as his body betrayed him and his health flagged, he realized he had gone too far and the story would be left with a conclusion? 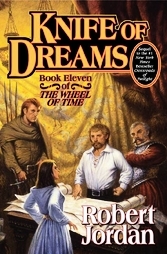 Regardless of the reason, the plot advancement has been welcomed by Wheel of Time followers, and overwhelmingly positive reviews are Knife of Dreams’ legacy. In addition to the Elayne story line, some of the usual complaints still exist. Over the years, Jordan has devoted far too many pages to spankings, which continues here and has a fetish-like feel. Almost all Aes Sedai behave the same way, so their personalities make it hard to tell them apart…the ones with Matt are just like the ones with Perrin, and so on. They do not have their own voice. And Jordan still overuses gestures such as braid-pulling and smoothing of skirts. In reality, however, these are well-established and minor criticisms that are annoying but do not harm the story. In conclusion, it’s safe to say that the story is back on track, and as the final book written exclusively by Jordan, is a fitting end for a writer that burst on the scene in 1990 with so much promise and flair. I can’t wait to see what Brandon Sanderson has done with the remaining pieces. Highly recommended for fans of the series, or at least people who have enjoyed books one through six. Posted on September 22, 2012 January 10, 2018 by hippogriffPosted in Book ReviewTagged Reviews, robert jordan, wheel of time.